Copyright: Entrants will retain copyright in their submitted entries and grant Congregational a worldwide royalty-free licence to edit, crop, re-size, publish and use each entry in any and all media for publicity and marketing purposes related to the promotion of this competition for a period of no more than 5 years. A moment of faith – Try capturing one of those special moments that really demonstrates that faith exists, whether it is a planned event or a one off snapshot that catches the eye and imagination. Community spirit against the odds – A photograph which conveys how your community has united despite specific challenges could make a great shot. A community hero – Is there a certain individual in your area who has represented faith in the community? Why not capture a shot of them doing what they do best. The two highly commended winners will each receive up to £850 worth of audio visual and / or photographic equipment. 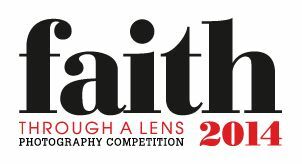 A maximum of 2 photographs may be submitted per entrant into the Competition via the Website or by post.